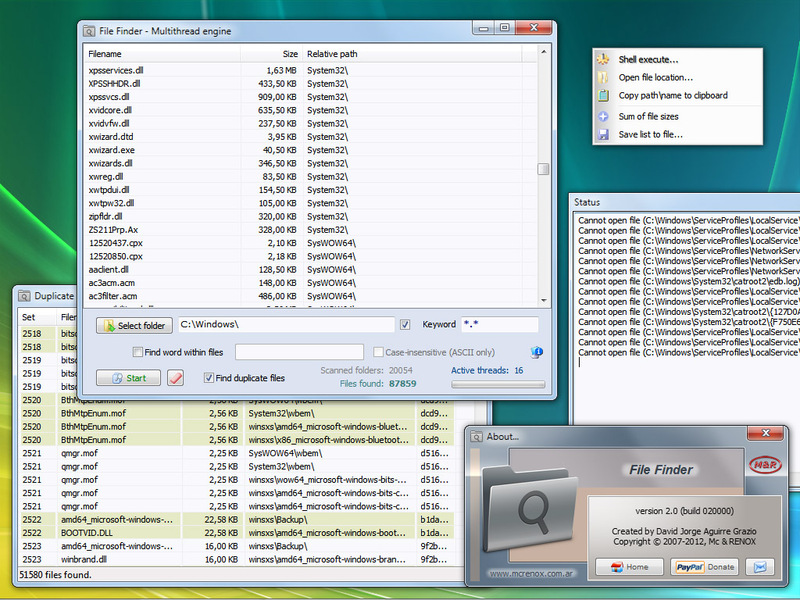 FileFinder is a really fast and easy to use file search utility. It provides a highly efficient interface for quickly locating files and additionally detect duplicate files. FileFinder is especially useful when you don't know the exact name of the file you want, and includes word or phrase searching within files. Once the file is found, the user can open it (shell execute), access to the containing folder and other functions from a context-menu by right-clicking. It is radical alternative for the standard Windows file search utility.